Anyone who has owned an old house for more than a couple months will tell that wood rot is a major frustration. In this post I’ll show you what causes wood rot and how to stop it. Wood is an amazingly versatile building material. It can molded and shaped to almost any form. It is an excellent insulator. Its structurally abilities are incredible. Its ability to accept paint, stains and varnishes is fantastic. Its one weakness is rot. Preventing rot is important, but understanding it will give you a better sense of why things rot and why my preventative measures work like they do. Wood rot is caused by only one thing and I’ll get to that in just a moment, but first there are 4 conditions that must be present in order for rot to occur. Remove any one of these conditions and you stop rot in its tracks. So what is the one thing that causes rot? Fungi. The simplest of all plant life. 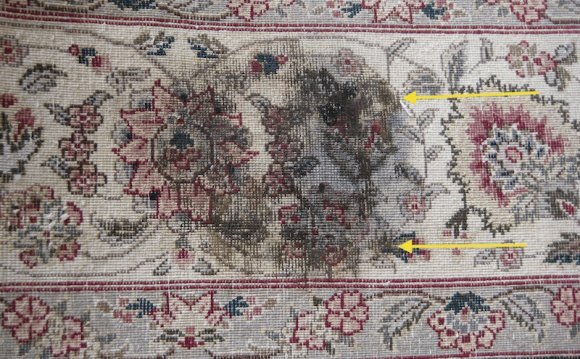 Microscopic fungus spores are all around us floating on the breeze and landing all over our homes. Wherever they land, if the 4 conditions above are present then you will have rot and that rot will continue as long as those conditions are present. Even if you remedy the conditions the fungus is still present and will resume growth (aka rot) when the conditions are more favorable. So how do you stop wood rot? Well, you can always remove wood from the equation but for most of us that would mean remove our entire house. And here on earth there isn’t much we can do about eliminating oxygen or warmth. On a side note, the lack of oxygen is why wood that is submerged underwater for decades or centuries can remain in completely pristine condition. The organisms that cause rot need oxygen to survive and the underwater environment is decidedly oxygen free. The city of Venice, Italy and the famous Brooklyn Bridge are a couple examples of structures built of wood foundations that have survived hundreds (and in Venice’s case thousands) of years with no trace of rot. Back to how to stop rot. If we can’t get rid of wood, oxygen or warmth then the only thing we’re left with is moisture. So then, how can we stop the wood elements of our house from excess moisture which causes rot? It is going to rain or snow and the wetting of your house is not a cause for concern. The concern is when wood isn’t able to dry out. There are a few things you can do to help the wood on your house dry out. 1. Keep it Painted – Keeping your house painted is the easiest way to keep the water out. Paint is a great layer of protection to help the surfaces of your house shed water and dirt. Though it may get wet the paint keeps the water (and fungus) from attacking the underlying wood. 2. No Standing Water – If any part of your house gets standing water after a rain storm then that area is much more likely to rot. Standing water will find its way into joints and cracks in the paint and seep into the wood giving rise to perfect conditions for rot. Redesign these elements to allow water to shed off of them. 3. Allow For Air – Good airflow helps everything dry out faster and the faster things dry the less chance of rot. Trim back shrubs and trees from your house so that there is a enough room for some airflow between the two. Wet shrubs directly against siding are a major cause of rot on many houses. If you can keep it dry you’re leaps and bounds ahead of the rest of us. Yes, the cause of rot is fungus, but if you focus your energies on keeping the exterior surfaces of your house dry you’ll stop it in its tracks. And preventing rot is a lot easier than stopping it once it really gets rolling. While I’m a big believer in intelligent exterior design to shed water efficiently, there are times when rot has begun and you need to stop it. The main product that I use to treat rotten wood is also the same product that works great for preventing termites and other insects that destroy wood. BoraCare is a borate treatment that is easily applied to wood and over time it migrates throughout the entire mass of the wood. It doesn’t just sit on the surface but the treats the whole thing making the wood unappetizing for insects and uninhabitable for fungi. Do you want your hair to be neat and stylish? Do you want shiny hair instead of always tangled curls? In this case, Tutanat has a product created especially for you! Meet their new keratin hair straightening kit, try this product in action and make sure it works! Your hair is transformed like magic! Your friends and your family will be really surprised! If you would like to get the best results very fast, and to enjoy your new hairstyle for a long time, don't hesitate to buy Tutanat keratin treatment products!